Blue ginger plants, with their stems of dainty blue flowers, make delightful houseplants. They are easy to care for, too. Find out more about these lovely plants in this article. 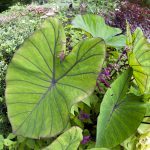 What is Dichorisandra Blue Ginger? Blue ginger gets its name from its resemblance to ginger plants. It isn’t a true ginger. Blue gingers belong to the same family as wandering Jews and spiderworts. 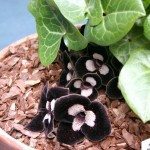 All are very easy to grow indoors. Blue ginger (Dichorisandra thyrsiflora) is a huge plant with big spikes of blue flowers atop a tall tower of foliage. Fortunately, there is also a pretty little version of this plant, the weeping blue ginger (Dichorisandra pendula). They make neat garden plants in tropical areas or gorgeous houseplants for those of us that experience cold winters. Both of these plants are easy to grow and tolerant of the conditions inside most homes. Blue ginger produces flowers that can last for months, and they continue to produce new flowers year round. The plants can be quite expensive, but propagating blue ginger is easy. Cut tips of stems with three leaves attached. Remove the bottom leaf and dip the stem in rooting hormone or roll it in hormone powder. Plant the stem in rooting medium so that the node where the bottom leaf was attached is under the medium. Water it well and place it inside a plastic bag, sealing the top with a tie. Remove the bag when the new plant shows signs of growth. It takes about six weeks to form enough root mass to support the plant. These plants love indoor environments. They don’t mind dry air or dim light. Maintain blue ginger at the desired height by snipping off top growth. Try to give the plants a minimum indoor temperature of 60 degrees Fahrenheit (15 C.). Lower temperatures interrupt their bloom cycle. In Department of Agriculture plant hardiness zones 9 and 10, you can grow blue ginger outdoors. Give the plant full sun or partial shade, keeping in mind that the blooms last longer if they have shade at least part of the day. Cut them back hard at the end of their flowering season to give the plants a rest. These plants need a little fertilizer, but the edges of the leaves turn brown if they get too much, so use a light hand. Outdoors, use 15-15-15 fertilizer every couple of months during the growing season. Indoors, use a liquid houseplant fertilizer designed for flowering plants according to the package directions. Let the soil dry between waterings. Blue ginger tolerates drought conditions for short periods of time. Indoors, water the pot thoroughly, letting excess moisture drain from the bottom of the pot. Empty the saucer to make sure the roots aren’t sitting in water. Read more articles about Blue Ginger.